Celebrating the life of DONALD EARL ROY SR.
Obituary for DONALD EARL ROY SR.
Donald Earl Roy Sr. was born February 24, 1937 in Port Arthur, Texas. 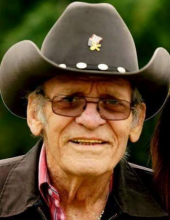 He passed away peacefully with family by his side on November 29, 2018 at the age of 81. Donald married the love of his life Jimmie on January 06, 1962. He served in the United States Army from 1954-1957 and in the United States Navy from 1957-1961. He was full of life and was loved by many. To plant a tree in memory of DONALD EARL ROY SR., please visit our Tribute Store. "Email Address" would like to share the life celebration of DONALD EARL ROY SR.. Click on the "link" to go to share a favorite memory or leave a condolence message for the family.